Australia's preparation for the final game of their European series against England at Twickenham has been hampered as the players are hit by illness and injuries. 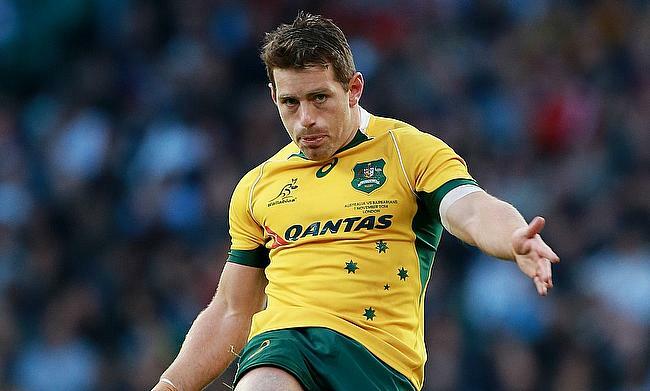 An Australia spokesman confirmed that nearly 10 players in the touring squad are hit by a stomach bug with the team management swearing on the fitness of Bernard Foley and Israel Folau. "Israel Folau and Bernard Foley are still recovering from a stomach bug that cropped up at the end of last week," said an Australia spokesman. Lock Izack Rodda added that the issue is contained as they gear up for the clash against Eddie Jones' side. "I think there's been a few players and a couple of staff unwell, but it's been contained so it's pretty good," he said. Meanwhile, there is also concern about David Pocock's availability as he is currently recovering from a neck injury. The 30-year-old trained briefly on Tuesday but Rodda is backing his team-mate to be ready for the all-important clash against their arch-rivals. "I'm pretty confident. He sat down today to rest, but I reckon the coaches will give him every opportunity to play, and I have complete confidence that he'll be fine. "He's massive. On the ball and around the park he's an outstanding player. It would be a big loss, but we have players that would step in and do a good job."